Everyone loves how easy it is to make instant coffee. If you prefer a little more creamy taste to your coffee, reach for our Lingzhi Coffee 3 in 1 Lite. It is another new variant of the DXN Lingzhi Coffee series which delivers a smooth and full-bodied coffee with an irresistible aroma. Just add one sachet of the Lingzhi Coffee 3 in 1 Lite into 150ml of hot water and stir to enjoy a sensational new coffee experience with DXN. 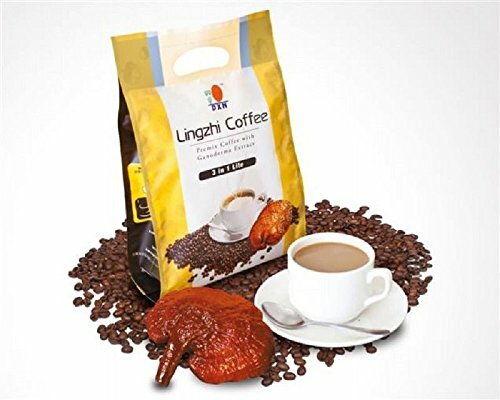 DXN Lingzhi Coffee 3 in 1 Lite is another new variant of the DXN Lingzhi Coffee series. This coffee has a smooth creamy taste. Healthy Shot Double Protein Supplement Peach Beverage, 2.5 Ounce -- 24 per case.